Don’t struggle with trying to figure out how to repair a problem we can fix easily. Call today. When installing a garage door the size, color, insulation, springs, and even opener matters. Why is this? It is because this will be a deciding factor in how the functionality and aesthetics serve you. If you use your garage door often in the summer and winter months a good insulated door is important. If your garage door has a car parked inside of it the opener will work every single day. Installing a garage door opener that has a long life is a good investment in this situation. 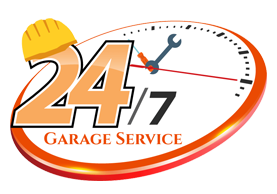 Let our technicians consult with you regarding you best options.